Adds a full-text-search button to Lore Library, to search in title and content of known books. Optional highlights the text found in the book. Currently it is a "all words" search. The books are sorted by category. The search is case-insensitive, if all entered letters are lowercase. Fügt der Bibliothek ein Full-Text-Suche Button hinzu, um im Titel und Inhalt von bekannten Büchern zu suchen. Optional wird der gefundene Text im Buch markiert. Zurzeit ist es eine "Alle Worte" Suche. Die Bücher sind nach der Kategorie geordnet. Die Suche beachtet die Groß-/Kleinschreibung nicht, wenn alle eingegebenen Buchstaben klein geschrieben sind. - Hopefully fixed nil error for those not having all categories unlocked. 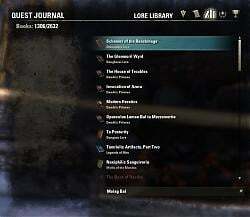 - ESO 2.5 'Shadows of the Hist'. Mhhhh Your "votan's search box" does make this addon obsolete, doesnt it? 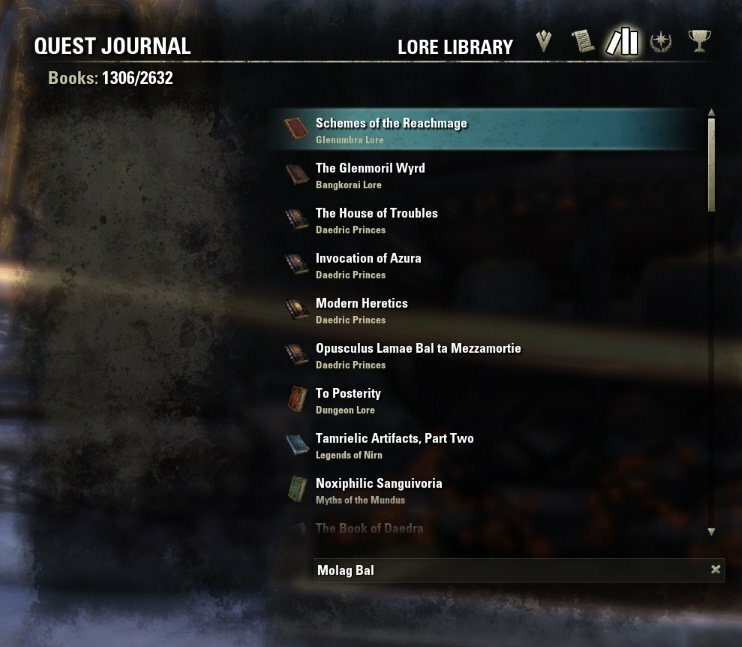 "votan's search box" does not search in books. The goal of this addon is to find and mark text in the books. You can't read unknown books. Last edited by wambo : 11/02/18 at 11:13 AM. Re: is this search account wide? No comments on this? Wow. Well let me be the first to say, this is an awesome add-on. Thank you for this, and all your other great add-ons Votan! !